“Blood is thicker than water.” This is a saying that implies that familial relationships are more important than the ones you form, but that saying was originally taken from the saying “The blood of the covenant is thicker than the water of the womb.” It’s interesting that the original saying means the opposite of what we are meant to take away from the phrase we know so well. So, which is it? 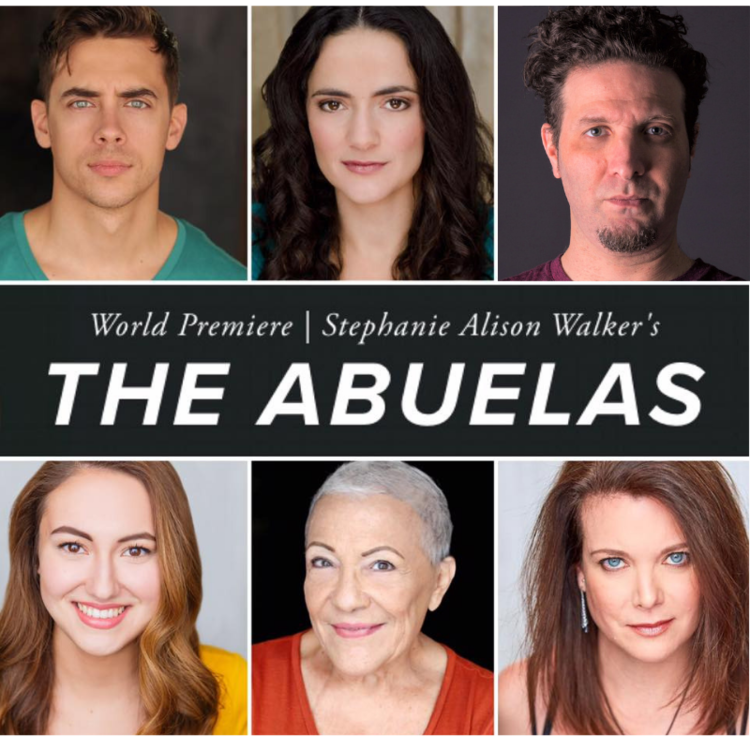 This question takes form as an identity crisis in Teatro Vista’s The Abuelas by Stephanie Alison Walker, now playing at Victory Gardens Theatre. Walker’s The Madres premiered last year at Chicago’s Teatro Vista. The play talked about the U.S.-backed Argentine purge that lasted nine years and involved the “disappearance” of over 30,000 people, many being journalists, teachers, writers and artists. The Madres showed a group of mothers who protested the “disappearance” of their children. The Abuelas acts as a companion piece/sequel to last years The Madres. However, don’t worry if you didn’t catch last year’s incredible show, the show stands on its own solidly. 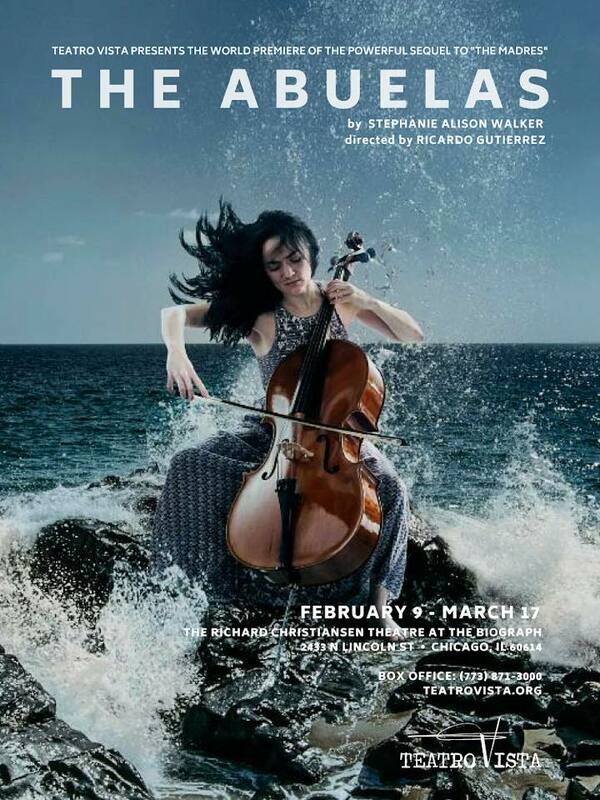 The story is set in 2016 Chicago, in the apartment of Gabriela, an Argentinian-born musician who is also the first woman to become principal cellist for the Chicago Symphony Orchestra, and her husband, Marty, a young American-born architect with superstar potential. The main plot of the story unfolds as they prepare for Soledad’s, Gabriela’s mother, birthday party. It seems to be a pretty standard evening, with few interruptions by Gabriela and Marty’s new-born, until Soledad’s one invited guest, Cesar, arrives. Cesar is a fellow Argentinian that Gabriela met at church. We come to find that Cesar invited a guest of his own, an older woman named Carolina, who appears to be a very big fan of Gabriela. The evening goes from awkward to uncomfortable when it appears that Carolina forces Cesar to tell a very personal story that revolves around himself as a teenager finding out that he was a child of “Los Desaparecidos” or “The Disappeared.” Soledad asks Cesar and his guest to leave. Without giving too much more away Gabriela makes a shocking discovery about her identity and must come to terms with the ideas of who she is, and who she is going to be. The second act revolves around Gabriela, giving the actor who portrays her, Cruz Gonzalez-Cadel, a chance to shine, and she takes it. She brings such compassion and warmth to the role. She shows us a character who has never been sure of who she was and now is given a second chance at rewriting herself. The chemistry between Gonzalez-Cadel and Nate Santana, who portrays Gabriela’s husband Marty, is incredible and leads to some very moving scenes as their characters work hard to make their marriage work. Santanna does an incredible job at showing the insecurities that come with being a partner and new father. I don’t want to give much more away about the cast but Esteban Schemberg, Ilse Zacharias, Katie Barberi and Alba Guerra were all amazing as different parts of Gabriela’s past, present, and future. Walker’s show gives us a beautiful look at how dirty politics can affect generations of people, sometimes without them even knowing it, and can make hundreds of thousands of people disappear without most people noticing. At the same time, the show gives us a window into the home of a successful couple, who don’t have it all figured out, but who even with all the new revelations that are out of their control, survive. Along with the help of Director Ricardo Gutiérrez, these characters fully become human. Walker’s show keeps us engaged with the way she builds tension in even the most mundane seeming scenes, that makes audiences hang on every moment leading up to the climax. For audience members who aren’t fans of the “day in the life” type of shows, the beginning will feel a bit long, but once the intense action begins you’ll be so invested that the two hours and 20 minutes with intermission will fly by, and the second act will keep you talking about the show well after the bows. Teatro Vista’s THE ABUELAS plays through March 17 at Victory Gardens Theater, 2433 North Lincoln Avenue. Tickets are $30-$35. Visit teatrovista.org, victorygardens.org or call: (773) 871-3000.